Nero software comes subject to a license agreement that specifically states the terms and conditions under which the software may be used, transferred, or distributed legally. Duplicating Nero software without a license to do so is not permitted. Piracy, including violation of the license agreement, is copyright infringement and may be punished under both civil and criminal law in the United States and internationally. Counterfeiting is what many people think of when they think of software piracy. Counterfeiting is the duplication and sale of software with the intent to pass off the illegal copy as a legitimate copy produced by the software company. Much of the software offered for sale at deep discounts on online auctions is counterfeit software. In their efforts to fool the buying public into believing that the product is authentic, counterfeiters often reproduce the graphics and packaging of the actual software. Because the company owns the rights to those graphics, this reproduction is independent and additional infringement of copyright and other intellectual property rights of the company. Some of Nero programs are distributed as OEM (original equipment manufacturer) software. These are only legally distributed when “bundled” with specified hardware. It is copyright infringement to duplicate and distribute any of Nero’s software, including OEM software, even if there is no attempt to pass off the software as a legitimate disk made by Nero. End users are not authorized by Nero to copy the software for anyone else—be it a friend, relative, coworker, or internet acquaintance. Software downloaded from Nero website—www.nero.com—is activated by inputting a unique serial number Nero gives to its customer. A key-gen or key generator is an application that creates fake, yet still valid, serial numbers. Activating software using a key-gen number is unlawful. Nero blacklists key-gen numbers and people using blacklisted numbers are not entitled to upgrades or product support. 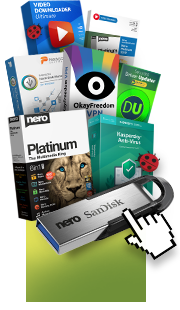 Nero software may be transferred by end users only under very limited circumstances set forth in the license agreement. Retail versions may only be transferred with all of the original packaging. The end user may not retain a copy. The end user must delete the program from the end user’s computer and destroy any back-up copies. Downloaded serial numbers may not be transferred. Demo, trial, and promotional versions of Nero software may not be transferred or redistributed. These versions are clearly marked “ NOT FOR RESALE ” on the face of the disk. In addition, trial versions of the software are only operable for a limited time. Demo, trial, and promotional versions do not entitle users to product upgrades or product support. To report suspected piracy, e-mail legal@nero.com. All reports are kept confidential.